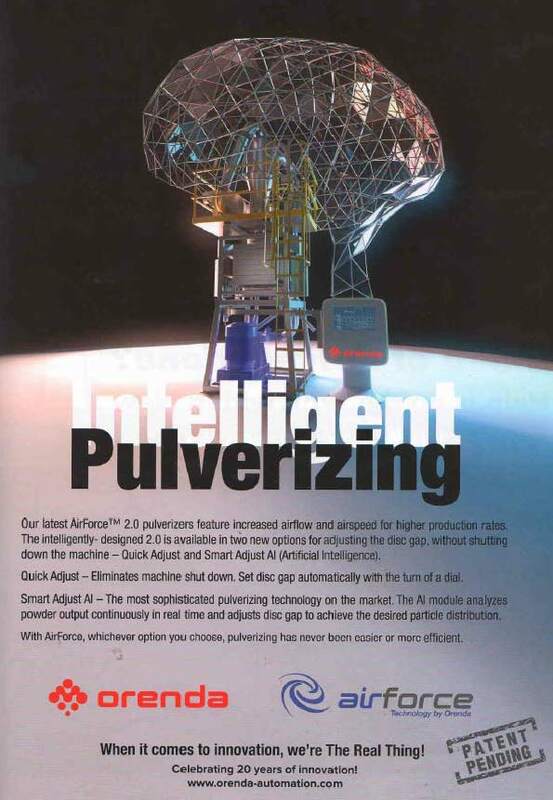 Introducing Orenda’s Newest Quick Adjust and Smart Adjust AI Features - Orenda Pulverizers Inc.
Orenda is at it once again, advancing pulverizing technology by leaps and bounds. The manual Quick Adjust design allows the operator to simply turn a dial and the disc gap adjusts as required, to produce the powder quality desired. The second is a fully automated Smart Adjust system, which incorporates artificial intelligence for maximum efficiency. Both represent significant advancements that eliminate costly downtime. Operators no longer need to stop the machine for time consuming adjustments.